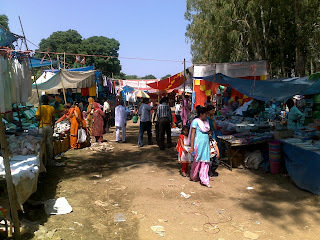 Village fairs are still a big charm for the people of Dev Bhoomi Himachal. Though slowly mall culture is spreading its roots in the hill state and trade fairs are being held, yet most of the people of northern state of India still prefer village fairs. People from all walks of life wait whole year for these fairs to buy their stuff, enjoy marry go round, have Jalebi, Aloo-Chat and relish other delicacies. Children still find fairs a big event to buy toys which are less costly these days, courtesy cheap Chinese toys. What to say about youth who enjoy tamak (traditional drums) and other traditional musical instruments. There are still places in Himachal where it take kilometers for people to get ready-made cloths and other ready-made items. For that reason people of such places await these fairs round the year. Traders from far and near set up their temporary shops in tents and sell clothes, wool, leather, pottery, artificial jewellery, plastic-ware, metal-ware and other household items in these fairs. No fair in Himachal Pradesh starts without the blessing of local deities and Devta's who travel in Palki and bless the fair with their presence till it ends. 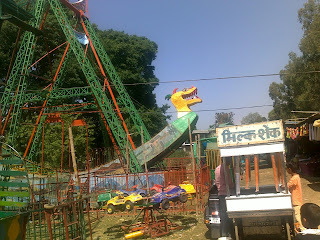 Chinjj (Wrestling), Dhol, Nagara, Tamak are special attractions of most of the village fairs. Mandi Shivratri, Kullu Dusharra, Nalwar, Sujanpur Holi, Lavi, Minjar (Chamba) fair , Naina Devi fair, Renuka fair, Chhitrari Jatra, Doongri (Manali) fair are some of the famous fairs of Himachal Pradesh. Fairs are held in almost all villages of Himachal Pradesh and are integral part of Himachali culture and tradition.